There doesn't seem to have been much attention in the news media about Renee Bahl leaving as Executive Director of Arizona State Parks for a position as Assistant County Executive in Santa Barbara, California. The State Parks system has been struggling with budget cuts by closing some parks, seeking support from local communities, and attempting to find private sector operators for others. But some Legislators berated Renee for not privatizing all the parks, despite parks officials warning there is a near-zero likelihood of most of them becoming self supporting, let alone profitable, and thus not of interest to companies. Sitting in a Parks budget hearing last session, it seemed to me Renee was in a no-win situation. The Prescott Daily Courier reports that the Arizona State Parks Board appointed Prescott resident Bill Feldmeier [right, credit ADOT] as the interim executive director while a national search for a permanent director is underway. 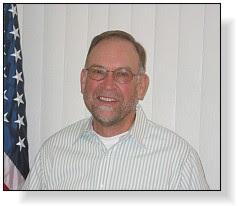 Feldmeier is a former Yavapai County Supervisor, and currently the chair of the Arizona Dept. of Transportation Board. A magnitude 4.3 earthquake in Baja California on Friday morning was felt across southern-most California with at least one report from Yuma. 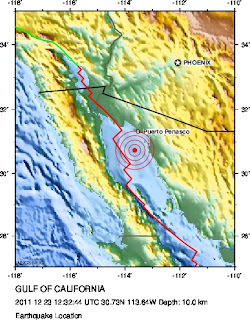 The event occurred at 7:34 AM local time about 37 miles south of Mexicali, Mexico. Alien civilizations may have sent probes to our region of the galaxy. Any mission to the solar system would probably have occurred a very long time ago. The lunar environment could preserve artifacts for millions of years. 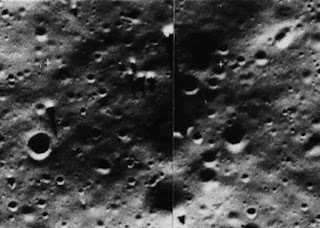 Lunar Reconnaissance Orbiter provides a photographic database to search for artifacts. Searching the LRO database would make an excellent educational project. The authors conclude that "Although there is only a tiny probability that alien technology would have left traces on the moon in the form of an artifact or surface modification of lunar features, this location has the virtue of being close, and of preserving traces for an immense duration." 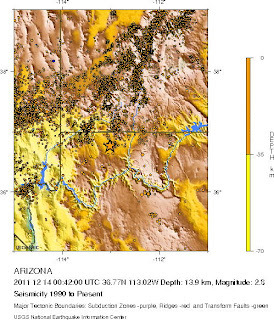 "World Class Research in Tucson: A Science City"
The USGS just published the 2008 probabilistic seismic hazard maps for the conterminous U.S. "portraying peak horizontal acceleration and horizontal spectral response acceleration for 0.2- and 1.0-second periods with probabilities of exceedance of 10 percent in 50 years and 2 percent in 50 years. 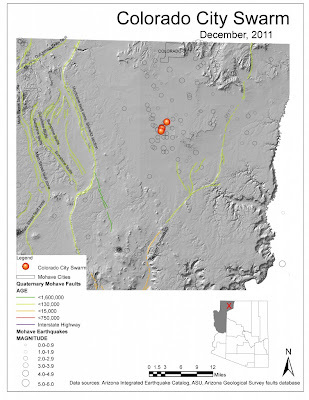 All of the maps were prepared by combining the hazard derived from spatially smoothed historic seismicity with the hazard from fault-specific sources." Ref: Petersen, M.D., Frankel, A.D., Harmsen, S.C., Mueller, C.S., Haller, K.M., Wheeler, R.L., Wesson, R.L., Zeng, Yuehua, Boyd, O.S., Perkins, D.M., Luco, Nicolas, Field, E.H., Wills, C.J., and Rukstales, K.S., 2011, Seismic-Hazard Maps for the Conterminous United States, 2008: U.S. Geological Survey Scientific Investigations Map 3195, 6 sheets, scale 1: 7,000,000. 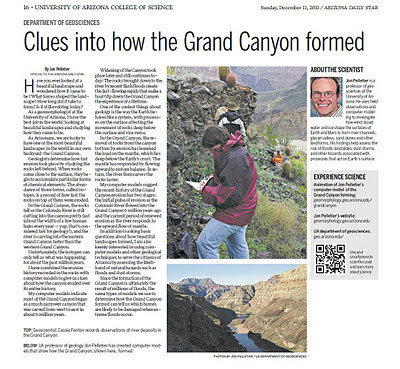 Science reporter Tom Beal wrote an article about this last week in the Arizona (Tucson) Daily Star. Now, Phil Pearthree, Chief of the AZGS Environmental Geology Section (which also runs the Arizona Broadband Seismic Network) did a little research and found the Lake Mead area experienced a burst of activity in the late 1930's that coincided with initial lake filling, and elevated rates of seismicity compared with rates for the area prior to dam construction continued until the mid-1960's. 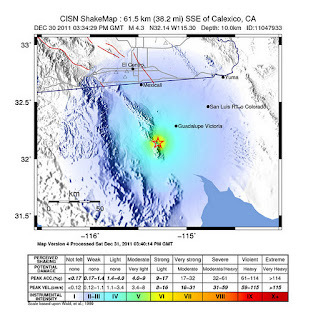 The largest event was M 5, with 8 events of M 4.5. These events correlated fairly well, but not perfectly, with annual maxima in lake levels. 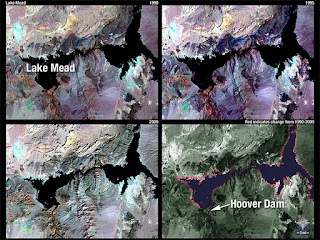 No moderate events have occurred since 1964, when Lake Powell was completed and annual lake level variations were damped down. Detailed studies of short intervals since then did not show a correlation between seismicity and lake level, but looking at the whole period between the mid-1930's and the present, there probably is a positive correlation between lake levels and seismicity. Lake levels have risen fairly dramatically this year from the all-time lows of late last year. The current reservoir storage is far below levels of the early 2000's, and essentially is back to a level that was more typical of the past decade. However, the rate of rise during the past year has been much greater than any other interval in this record, and this may be recreating the changing lake levels of the pre-Lake Powell reservoir period when there were more lake fluctuations and more seismicity. 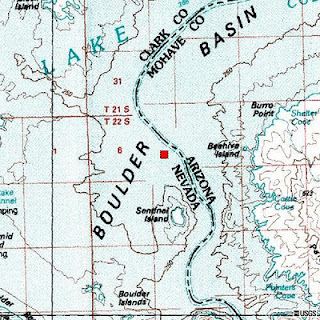 Lake Mead is included in a number of papers and books as a type case for induced seismicity. AZGS Senior Geologist Jon Spencer's written a concise summary on the origin of the modern Colorado River and incision of the Grand Canyon starting about 4.8 million years ago (Mya), for our online Arizona Geology magazine. 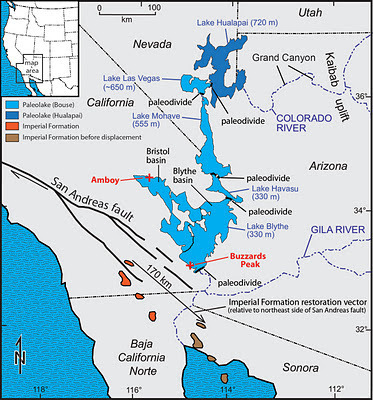 Jon concludes that the integration of the Colorado River drainage basin with the Pacific Ocean occurred at 4.8 Mya. "This event resulted in a major eastward shift in the continental divide, which was perhaps the single largest transition in the Cenozoic hydrologic evolution of southwestern North America" He also cautions that "much remains to be learned about the cause of this transition." 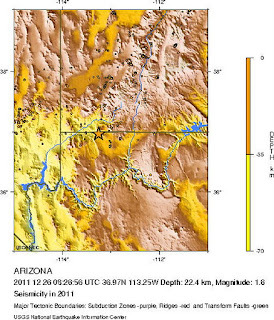 A magnitude 1.6 earthquake occurred at about 1:30 AM local time on Monday morning, 15 miles west of Colorado City, AZ. Stump clearly and ably recounts the history of Antarctic exploration from James Clark Ross in the 1840s through the 1950s. (Fair warning, though: there’s lots of geologizing.) Best, he includes very fine topographic maps, color photographs (many his own) and satellite images. And most helpful for anyone ever confused about just where and how the explorers made their way, Stump has superimposed the actual routes they took on many of the ­images. The review was published in tandem with one on "The Lost Photographs of Capt. Scott." NYT noted that a version of this review appeared in print on December 4, 2011, on page BR27 of the Sunday Book Review with the headline: The Antarctic. A magnitude 4.7 earthquake in the Gulf of California shook the beach resort town of "Rocky Point" (Puerto Penasco, Sonora, Mexico) 40 miles to the north. The quake occurred at 5:32 AM local time. The USGS has published a gravity data set for the San Pedro River basin in southeastern Arizona. 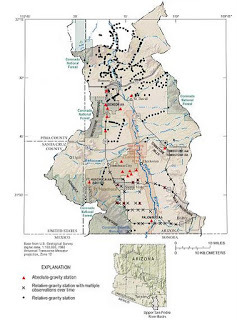 The report includes "relative and absolute gravity data at 321 stations in the San Pedro River Basin of southeastern Arizona since 2000. 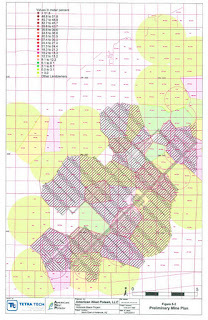 Data are of three types: observed gravity values and associated free-air, simple Bouguer, and complete Bouguer anomaly values, useful for subsurface-density modeling; high-precision relative-gravity surveys repeated over time, useful for aquifer-storage-change monitoring; and absolute-gravity values, useful as base stations for relative-gravity surveys and for monitoring gravity change over time. The data are compiled, without interpretation, in three spreadsheet files." Ref: Kennedy, J.R., Winester, D., 2011, Gravity data from the San Pedro River Basin, Cochise County, Arizona: U.S. Geological Survey Open-File Report 2011–1287, 11 p. and data files, available at http://pubs.usgs.gov/of/2011/1287/. Of particular importance to State Geological Surveys is the restoration of the proposed budget to the National Geological & Geophysical Data Preservation Program. AZGS is currently receiving matching funds under this program to digitize and archive the historic mining and mineral resource files we inherited with the merger of the AZ Dept. of Mines & Mineral Resources. 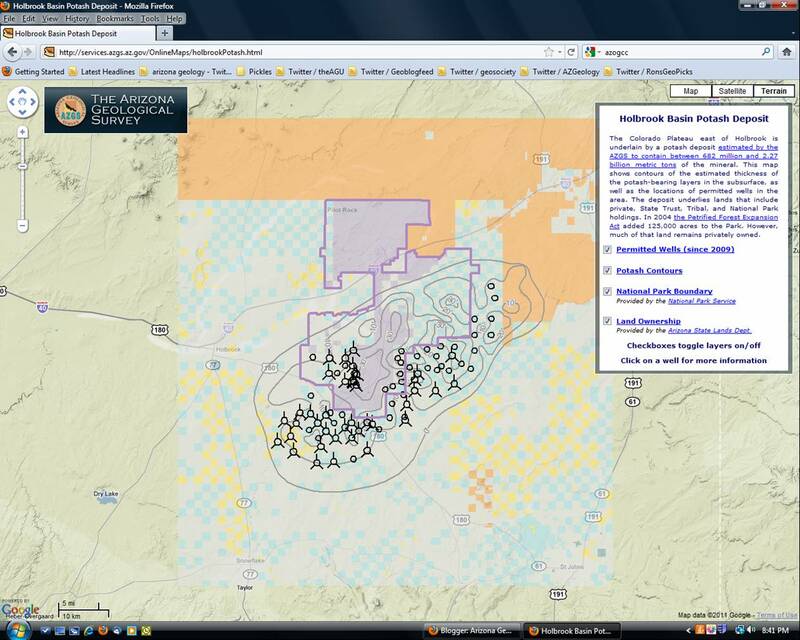 Also, some of the proposed cuts to the National Cooperative Geologic Mapping Program were restored. AZGS puts up matching funds to this competitive program, which is the primary geologic mapping effort in the state. The bill provides $1,069,744,000 for Surveys, Investigations, and Research of the U.S.
Geological Survey. The detailed allocation of funding by activity and sub-activity is included in the table at the end of this statement and comports with the requested budget structure realignment. Unless otherwise indicated below, the conferees have accepted the proposals for reductions resulting from Department-wide efficiencies, administrative savings, and Enterprise Publishing Network savings. A decrease of $2, 172,000 to the request has been assumed to reflect changes in the fmal fiscal year 20 II operating plan, which was not available at the time the request was submitted. Support for ecosystem restoration activities throughout the Survey's programs is maintained at the fiscal year 20 II enacted level. Additional changes to the request are specified below. enacted level include $1,500,000 for The Chesapeake Bay Executive Order and $2,500,000 for the Great Lakes Asian Carp Control Framework. The conferees support the President's budget proposal to conduct an in-depth analysis of the extent and sources of endocrine disrupting chemicals impacting fish and wildlife in the Chesapeake basin. Change programs. Within Climate Variability, changes to the request include decreases of$2,000,000 from Research and Development, and $6,460,000 from Science Support for DOl Bureaus. Carbon Sequestration is funded at $9,000,000. Landsat 8 ground operations development. The conferees have not agreed with the proposal to create a separate "Land Imaging" account and have instead maintained funding for all satellite operations within this subactivity. Estimated administrative savings assumed in the proposed new account have been assumed within the Land Use Change account instead. 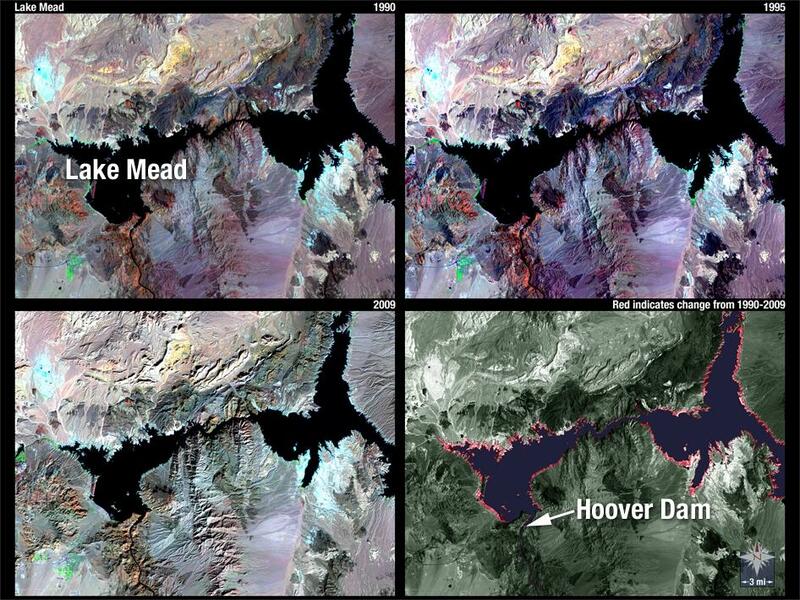 and both technological advances and a vastly different economic environment may point to other, less costly, options for obtaining Landsat data. Energy, Minerals, and Environmental Health.-The bill provides $96,368,000 for Energy, Minerals, and Environmental Health. The following amounts have been restored to ongoing programs that were proposed to be reduced in the request: $250,000 for the Minerals External Research Program; $5,000,000 for Minerals Resources; $1,000,000 for Energy Resources; $500,000 for Contaminants; and $2,500,000 for Toxic Substances Hydrology. An increase of $1,000,000 is provided for the New Energy Frontier initiative. $2,000,000 for Earthquake Grants; $1,800,000 for the 2012 Multi-Hazards Initiative; and $1,500,000 for the National Volcano E~ly Warning System. Decreases from the request include $800,000 from the 2011 Multi-Hazards Initiative, and $3,000,000 from Coastal and Marine Spatial Planning. restored for the following programs that were proposed to be reduced in the request: $2,000,000 for Groundwater Resources; $6,049,000 for the National Water Quality Assessment Program; $1,963,000 for the Cooperative Water Program; and $6,500,000 for the Water Resources Research Act Program. A program increase of$2,846,000 above the request is provided for the National Streamflow Information Program. Decreases from the request include $2,500,000 from the WaterSMART initiative within Hydrologic Networks and Analysis. The conferees encourage the Survey to include with its fiscal year 2013 budget request a proposal to establish a national groundwater monitoring network as authorized by the Secure Water Act. the request include $998,000 for the National Geological and Geophysical Data Preservation Program to continue funding at the current year enacted level, and $1,500,000 for National Cooperative Geologic Mapping Federal and State Partnerships to partially restore the proposed reduction to that program. Decreases from the request include $500,000 from WaterSMART. and Enterprise Information. There is a decrease from the request of $5,920,000 for separation costs. This amount is significantly below what the Survey would need to implement its proposed reduction in force. If a similar plan is put forward in future budget requests, the conferees expect that sufficient funds will be requested for its implementation. consequently have maintained those funds within the "Deferred Maintenance and Capital Improvement" subactivity. In the conferees' view, the Survey has the authorities it requires to manage its facilities and space requirements within the current structure. The Trail of Time at Grand Canyon National Park won the Wayside Media Award from the National Association for Interpretation, according to a story on KCSG tv in St. George, Utah. 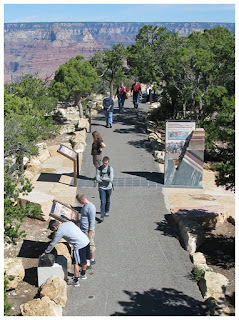 "The concept of a scaled geologic walking trail, along the heavily-visited South Rim, was originally conceived in 1995 by Dr. Karl Karlstrom and Dr. Michael Williams as a way to improve geoscience interpretation at Grand Canyon and connect research advances to public geoscience education. In 2001 Dr. Karl Karlstrom and Dr. Laura Crossey began applying for funding from the National Science Foundation to implement the project. Major progress on the project started in 2006 when funding was obtained from the National Science Foundation Informal Science Education Program. Since then the Trail of Time has grown to include Dr. Steve Semken (at Arizona State University), Ryan Crow (at University of New Mexico), many partners at Grand Canyon National Park, professional exhibit designers at Jim Sell Designs, and professional evaluators at Selinda Research Associates, among others." The National Association for Interpretation (NAI) is a not-for-profit professional association for those involved in the interpretation of natural and cultural heritage resources in settings such as parks, zoos, museums, nature centers, aquaria, botanical gardens, and historical sites. "The Public Understanding of Science" – It's a phrase bandied around often enough, but it can mean different things to different people. What does it mean to you? We want to learn from you, whether you are a science communicator, educator, researcher or just have a hand in helping folks understand and appreciate science. To provide you the opportunity to share your knowledge, experience, challenges (and even pain), we're organizing the First Annual COPUS (Coalition on the Public Understanding of Science) Invitational at the Biosphere 2 facility from March 16 to 18, 2012. We're styling the Invitational as an "UnConference." It's a think tank, networking event, showcase, forum and a celebration – all rolled into one. You'll be joining an eclectic group of folks from across the country who are passionate about sharing science with the public. In the spirit of the UnConference we are inviting attendees to drive the agenda. When you register, you'll be asked for your thoughts and opinions on the topics that you think would be most relevant to your interests. We've invited several dozen dedicated and accomplished writers, artists, editors, teachers, and yes, scientists, to participate in this unique event. Together, we'll brainstorm on the challenges of helping a broader audience to realize the value of scientific thinking as well as the benefits science brings to their daily lives. We don't have a strict mandate for the UnConference. Our goal is to provide attendees with ideas, inspiration and networking opportunities that will help them in their day-to-day work, outreach and professional aspirations. The event will provide interaction across domains of science outreach that don't normally interact but that need to. Collectively we will learn from each other and develop some key concepts around which to drive future thinking to increase the public understanding of science. 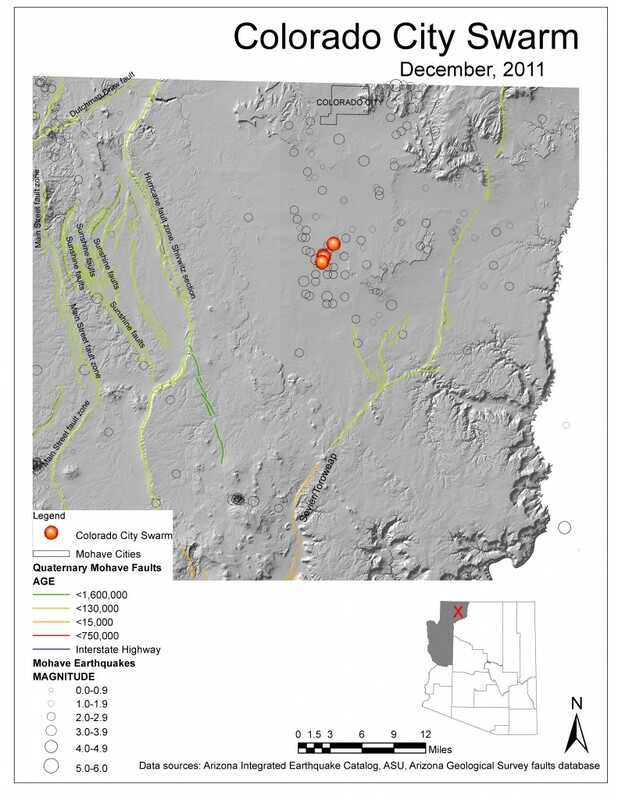 Last week's cluster of small earthquakes near Colorado City just south of the Utah border, generated interest in this remote area. Lisa Linville, who recently joined AZGS as an earthquake seismologist, based in Flagstaff, has written a nice overview on our Groundswell blog, which focuses on earthquake topics. I'm reproducing Lisa's map here. The 4 earthquakes from Dec. 12-13, ranged in magnitude from 1.7 to 3.1 (shown in orange; other historical quakes in open circles). 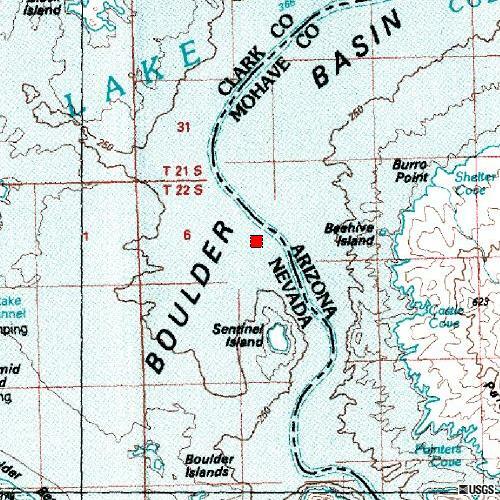 This cluster falls in between the Sevier-Toroweap and Hurricane fault systems, both of which are active. We're not ready to link the quakes to a specific fault. Similar clusters of quakes are not uncommon throughout the region, many not associated with any known faults. These earthquakes are a reminder that there is a significant seismic hazard potential in northwestern Arizona. 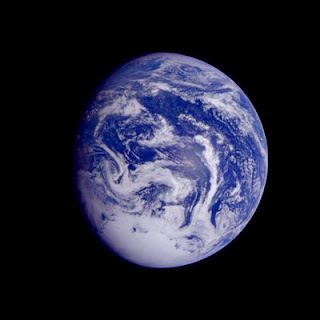 The National Research Council has released the preliminary copy of their report on New Research Opportunities in the Earth Sciences at the National Science Foundation, which can be read online. NSF Earth Science Division Director Bob Detrich notes that this is the first “decadal” study of research opportunities across the earth sciences since the influential NRC Basic Research Opportunities in the Earth Sciences (BROES) report was published in 2001.
more pressing today, and will persist into the future, with ever-growing emphasis. understanding of the Earth sciences." Passport Potash today cancelled a deal to acquire the mineral rights of NZ Legacy Resources, which comprise 50% of the HNZ Legacy potash lands. HNZ is a joint venture between NZ and Hunt Oil. 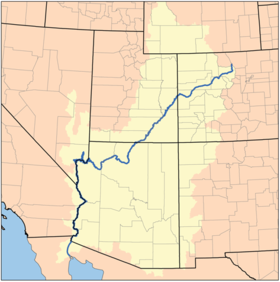 And two days ago, officials of American West Potash met with the REAL AZ Corridor regional economic development organization to describe their plans to begin permitting an underground potash mine starting in March 2012 and seek support of the local community. The Arizona (Holbrook) Journal offers a detailed report on the meeting, which says the company expects some opposition because of the juxtaposition of the potash and Petrified Forest National Park. Another issue is likely to be potential use of and impacts on ground water, including from salt byproducts stored on the surface. AWP said they will probably give away the salt to highway departments. AWP made the point that the proposed underground operation does not have the "endangered species, rivers, and streams" issues that have generated concerns over some proposed open-pit mines. If I haven't said it before, I'm impressed with the depth and quality of coverage by the Arizona Journal on the potash play. Arizona's eponymous 5 C's (copper, cattle, citrus, cotton, and climate) are not the same driving factors in the state's economy as they w ere a century ago when Arizona became a state. A set of feature stories by Cronkite News Service looks at each C over the past 100 years. The chart above right is greatly reduced from the story on copper. It tracks Arizona copper production since 1912 with corresponding values of annual production. Discovery Channel's Mike Rowe went to the field with Utah Geological Survey paleontologists to film an episode of "Dirty Jobs" for later broadcast. There are four 'sneak peek' video clips from the day digging for dinosaurs, posted online. That's Utah's State Paleontologist Jim Kirkland in the blue jacket in the clip above. 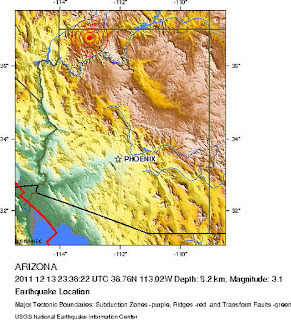 It looks like there was an aftershock to Tuesday's M=3.1 quake south of Colorado City in northern Arizona. At 5:42 PM local time there was a magnitude 2.8 quake at about the same location. Technically it qualifies as an aftershock to the larger, preceding event. 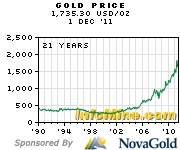 The price of gold has dropped this week to below $1600 an ounce, down from $1800 in early November, amid predictions it could go lower in the short term. The sell-off is attributed in part to year-end tax selling and profit-taking among other factors. 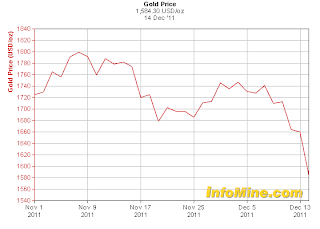 But some analysts are still predicting that long term, gold prices could set new records. Silver also has ta ken a battering in recent weeks but industrial demands are causing some to predict a resurgence in prices. 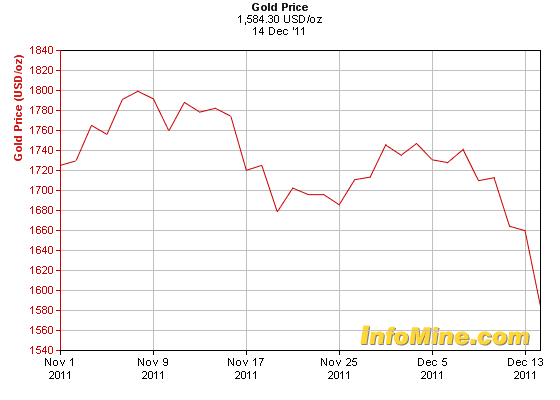 Here's my response to the question, "What’s ahead for the mining industry and mining companies in 2012 from your perspective?" Growing populations, rising standards of living, global competitiveness, and developing technologies are driving up demands for traditional and less traditional minerals. Challenges to meeting these demands are less technological and more social and political. Debates over ‘environmental imperialism’ and ‘resource nationalism’ are prevalent in the leading economic powers as well as Third World countries. Concerns voiced over environmental impacts from mining by foreign-owned companies are raised in Arizona just as in Indonesia or Peru. The value and importance of mineral exports in any state or nations economy seems to be overshadowed by opposition to foreign investment if the products leave the country to benefit others. Similar fears don’t materialize about other export commodities such as an agricultural product that may require lots of water, add pesticides to the environment, or need subsidies to survive. This trend is likely to continue despite the economic downturn. MiningIQ.com recently compiled a list of their top 11 mining blogs, which prompted a spate of suggestions from readers for additions to the list. I'm familiar with some of these but there are a lot of ones new to us that sound interesting. 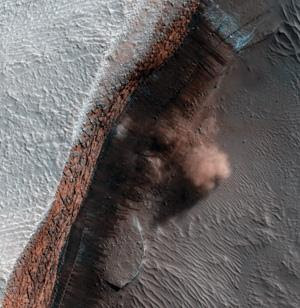 The UA HiRISE Mars camera team has developed a new viewer that allows you to "download high-resolution images of the Martian landscape almost instantaneously and explore the surface of the Red Planet" from your own desktops. HiView is like a Mars version of Google Earth. 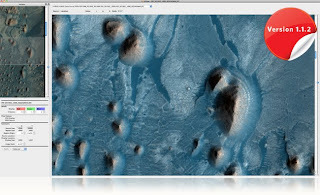 HiRISE images are typically gigabytes in size, but with the new viewer "users can select a portion of the image and download only that portion of the image, so the user doesn't have to wait hours for the entire image file to download." Two small quakes )M=2.1, 1.7) occurred in the same area between 1 and 3 AM on Dec. 12. The Arizona Dept. of Environmental Quality has released an information sheet on Environmental Permitting Requirements for Proposed Potash Mining in the Holbrook Basin. The list includes air and water quality and waste disposal permits but cautions that "There are a variety of other ADEQ permits, approval and registrations which may come into play, depending upon site-specific needs and plans." Because no potash mining applications have been submitted, ADEQ says they are not "able to predict the precise environmental permitting requirements which may apply to such facilities." Each permit is described as typically taking 6 months to a year to obtain, once all materials are properly submitted. "Freeport had warned investors it may not achieve its fourth-quarter production and sales targets owing to the [3-month long] strike." 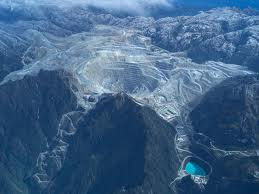 "The mine, in Indonesia's eastern Papua region, also has the world's biggest gold reserves and produces silver." The news report looks at some of the economic and political factors in the strike and settlement. There was a magnitude 2.9 earthquake a f ew minutes ago (4:36 PM local time), 16 miles south of Colorado City in northern Arizona. This follows two smaller quakes that occurred in the early morning yesterday. A magnitude 2.2 event was recorded in about the same location at 1:03 AM on Dec. 12, followed by a magnitude 1.7 quake at 2:44 AM. There were two similarly small quakes a few miles to the northeast on Dec. 8. Industry sentiment was generally upbeat at the annual SME Arizona conference which took place in Tucson last week. Among the tidbits (not all of which are new) are that at the planned Ray Mine expansion, Asarco is adding additional life to the Elder Gulch tailings, about 6-8 years worth depending on final elevation, by raising the dam height. At the same time, they are working on a 6-year project to permit and build a tailings facility about 4 miles southwest of the mine on 7,400 acres of land they plan to buy from Arizona State Lands on Ripsey Wash. The Ray Mine is currently assembling their 21st 400-ton Leibherr haul truck. Insiders know that mine manager Steve Holmes' legacy is the advancement of mine fleet data collection and use of the Ardvark drilling systems. Moly Corp mentioned the recently acquired Santoku facility in Tollesin, Arizona is a key part of their rare earth vertical integration/magnet manufacturing strategy. Additional drilling is increasing the size of the resource at Resolution Copper presently at 1.6 billion tons. Speculation is that the expanded area underlies the Oak Flat campground, which is part of the proposed land exchange recently approved by the U.S. House. A pre-feasibility study should be completed in 2012, and the feasibility study in 2014. First production is scheduled for 2021, with full production in 2026. The project is forecast to create 1400 direct and 2300 indirect jobs. The No. 10 shaft is now sunk 4860’ below the surface. 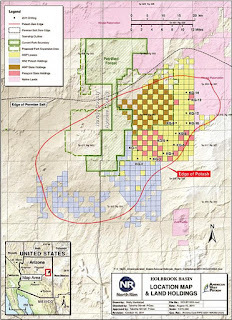 Company officials describe the volume of the mineralized zone as about the size of nearby Picket Post Mountain. To mine the deposit will require that the equivalent of a typical 20-ton highway truck load be hoisted up the shaft every 15 seconds for 40 years. And we hear that Asarco’s exploration chief Tom Simpson is leaving this week to go to work for Newmont in South America. 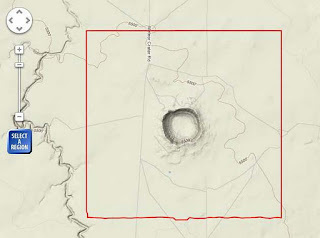 A LiDAR data set for Meteor Crater, Arizona is publicly available via the OpenTopography facility at the San Diego Supercomputer Center. The data were collected in March 2010 by the National Center for Airborne Laser Mapping (NCALM) with NSF funding. 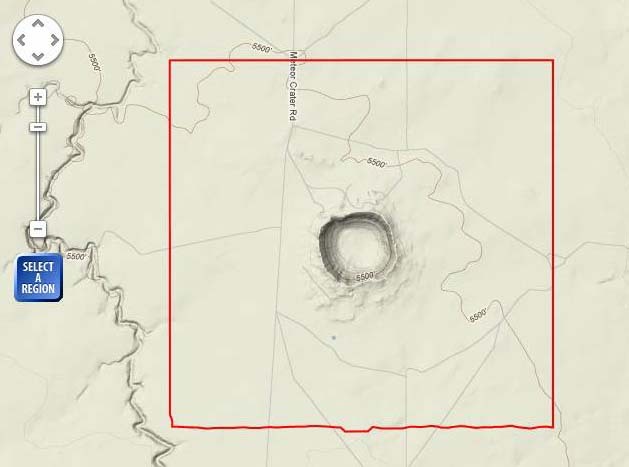 The survey area is a rectangular polygon, roughly 5.44 km on a side, enclosing the Barringer Meteorite Crater and its ejecta blanket. 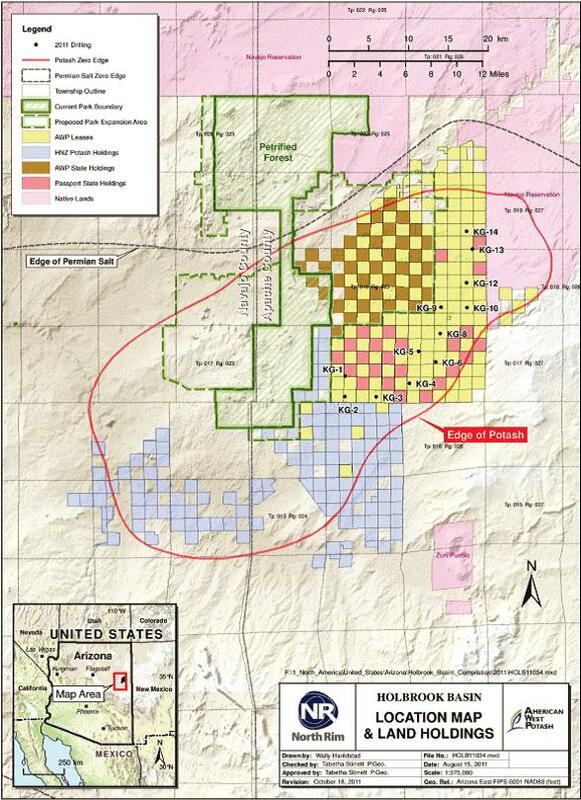 The project area is located 60 km southeast of Flagstaff, AZ and 30 km west of Winslow, Az. The polygon has a surface area of 29.7 km2; the requirement indicates two point densities one for the crater walls and rim of 8 pts/ m2, and one for the surrounding area of 4 pts/m2. Thanks to Chris Crosby at OpenTopography for passing along this info. Catching up on the news while I was out of town, I just read the Dec. 3 editorial in the Arizona (Phoenix) Republic, calling for restoring the state budget for the Arizona Dept. of Water Resources. ADWR, like the rest of state agencies, has taken drastic budget cuts over the past four years, closing branch offices and reducing staff by about 2/3. The Republic argues for restoring ADWR's budget to 2009 levels. My conversations with Legislators and state budget officials indicate that most everyone expects the Fiscal Year 2013 budget, which begins in July 2012, will be flat, even if revenues improve somewhat. Even if that were not the case, competition for any potential increased funds will be more than stiff, given the demands for education and social services. Planetary scientists at University of Arizona report that the Mars Reconnaissance Orbit is revealing at least 20 new meteor craters, 1 to 50 meters wide, forming on the Red Planet every year. And the airborne shockwaves appear to be triggering thousands of dust avalanches in the areas surrounding the impact craters, according to Kaylan Burleigh at UA in a story in New Scientist describing results in a new journal article (Icarus, DOI: 10.1016/j.icarus.2011.10.026). The state-owned Polish mining company KGHM has a deal to buy out Canadian-based Quadra FNX, including the latter's Carlota copper mine in Arizona. Business Week reports the price of $2.84 billion is the "largest overseas acquisition by a Polish company." It was only last month that Quadra FNX announced it would 'wind down' production at Carlota due to higher costs and lower ore grades than expected. 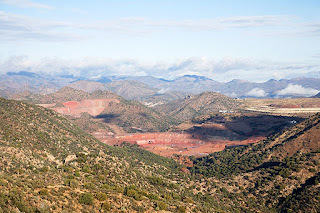 [Right, Carlota mine in 2008. Credit, Robert Shantz] The mine is in the Globe-Miami mineral district, southeast of Phoenix. The Mining Foundation of the Southwest's 2011 Hall of Fame was held in Tucson on Dec. 4, with guest of honor Laurence Golborne Riveros [right, credit MFSW], the current Minister of Public Works and former Bi-Minister of Mining and Energy for the Republic of Chile. 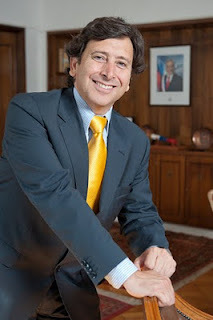 He was honored for his leadership to develop new ways to encourage mining and mining policies in Chile and for his collaboration with industry, the mining support vendors, and local community during the dramatic rescue of 33 trapped miners at the San José Mine, in the Atacama Region in 2010, that captured the world's attention. The 2011 Medal of Merit recipients were Ralph Sievwright and Marco T. Einaudi. Mr. Sievwright served as chief negotiator for Magma Copper in its labor negotiations for over 40 years and advised the company on mining law and compliance with complex environmental laws. "He is, and was, well-known as a leader in Arizona in these fields of law practice." Mr. Einaudi is "perhaps best known in Arizona for his synthesis of skarn deposits related to porphyry copper systems of southwestern North America." A Special Citation was awarded to a group of companies that supported the Chilean mine rescue. "For their impressive contributions, committed collaboration with each other and the Chilean government during the mine rescue, and for advancing underground mine rescue technology, the Mining Foundation of the Southwest acknowledges the companies listed below with a MFSW Special Citation." 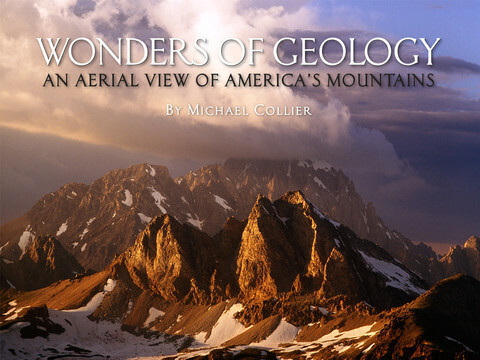 Flagstaff geologist/photographer/pilot Michael Collier published a new iPad app last week, "Wonders of Geology: An Aerial View of America's Mountains" which is currently featured as a "new and noteworthy" selection. Publisher Mikaya Digital calls it "one of the most beautiful, informative geology applications yet created." For a quick preview, you can check out the trailer via their new official site (just click on the mountain image at the top right of the page). Michael is author of 17 books on geology and recipient of awards from the U.S. Geological Survey, the National Park Service and the National Science Teacher’s Association. In 2005, he was named winner of the American Geological Institute’s Award for Outstanding Contribution to the Public Understanding of the Geosciences for his decades of work. I saw UMass geology prof and private pilot Chris Condit at AGU in San Francisco last week. Chris and Michael have flown together for decades. Chris talked about flying with Michael over parts of the Appalachians to photograph some of this iPad app and how spectacular the final results are. The IGSN is 9-digit alphanumeric code that uniquely identifies non-biologica l samples from our natural environment and related sampling features. Membership of the CSIRO-Australia, Geoscience Australia, and the US Geological Survey is pending and expected to be completed shortly. AZGS, acting on behalf of the Association of American State Geologists (AASG) is working with the USGS to establish a US naming authority for IGSN under the auspices of the AASG-USGS US Geoscience Information Network (USGIN). This would provide the service to any earth science organizations that don't want to set up their own authority or have too few samples to justify the effort. 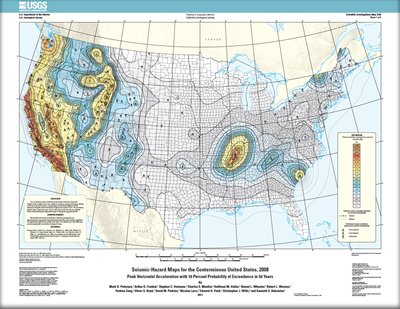 The USGS already has over 2 million items in their incipient ScienceBase catalog, 90% of which are from state geological surveys. Well, I made my 3,000th post on this blog over the weekend. My blogging regimen has been a lot more irregular the past 6 months especially due to travel. But it's still fun and rewarding, so I plan to keep on blathering away. In fact, I'm writing from San Francisco, where I got in last night for the American Geophysical Union Fall Meeting. AZGS staff are giving or co-authoring 11 talks and posters here this week, covering Geothermal Data, GeoSci markup language, post-wildfire debris flows, Peach Springs Tuff, federated data networks. They expect 22,000 attendees at the meeting. We're doing our first-ever exhibit booth at the meeting, showcasing the State Geothermal Data project and the National Geothermal Data System. I hope to be blogging from the meeting but between 2 talks, 2 posters, running the booth, formal committee and business meetings, and a lot of one on one confabs, it's going to be a frantic week. There are about 700,000 Ground Source Heat Pumps (GSHP), also called Geothermal Heat Pumps, installed in the US, but the industry says the potential is for 100 million eventually. Every state in the country is suitable for GSHP, although the installations vary according to local soil moisture conditions and some other factors. Yesterday, I co-led a workshop at the annual meeting and expo of the National Ground Water Association, in Las Vegas, that covered web-based information available from state geological surveys that are of particular value to water well drillers. A focus of our discussion was on data we are gathering nationwide on Ground Source Heat Pump factors for inclusion in the National Geothermal Data System. This includes installation reports, thermal conductivities, heat flow and gradients, soil moisture, among others. Afterwards, I had some time to meet with geothermal experts in NGWA and the International Ground Source Heat Pump Association (IGSHPA). Both have training and accreditation or certification programs for drillers and installers of geothermal heat pumps. You can find lists online of those professionals in Arizona who are IGSHPA certified installers.